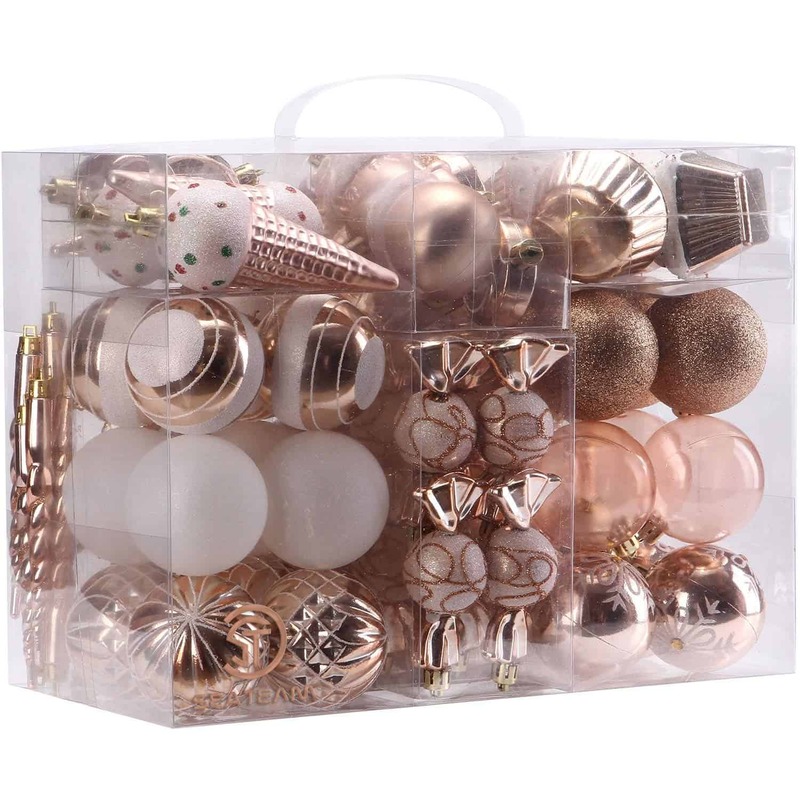 The holiday season is nearing and the christmas decorating itch is in full force. Even though you are in college, you can still celebrate with dorm christmas decorations. When I went to college, I often wondered if I would still get in the Christmas spirit. When holiday decorations started going up November 1st (yes, that early! ), I knew that Christmas would not be forgotten and we would create our own holiday spirit in the dorm. My friends and hall mates went all out and it was so fun. The rooms were full of fake fireplaces, our doors decorated to perfection, and Mariah Carey christmas album blaring through the hallways (don't worry though, I included some really easy dorm christmas decorations if you don't want to go too crazy ;). 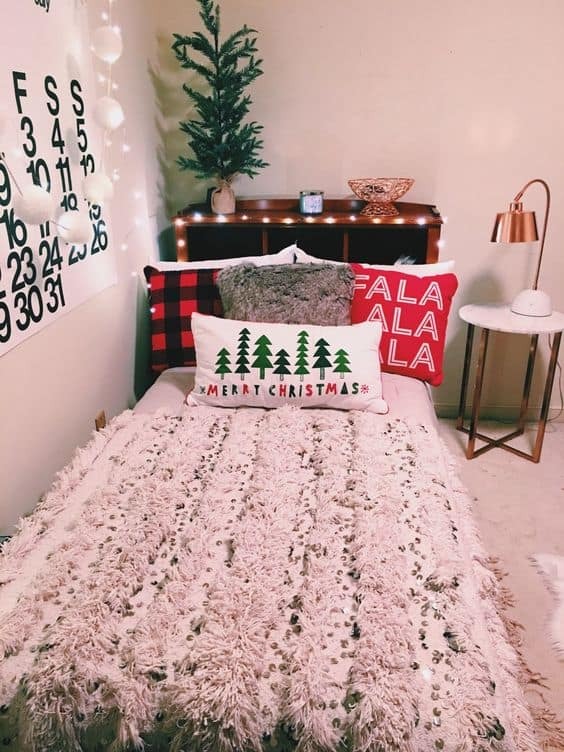 This post shows you 15 really cute dorm christmas decorations that you can copy for your own dorm room. 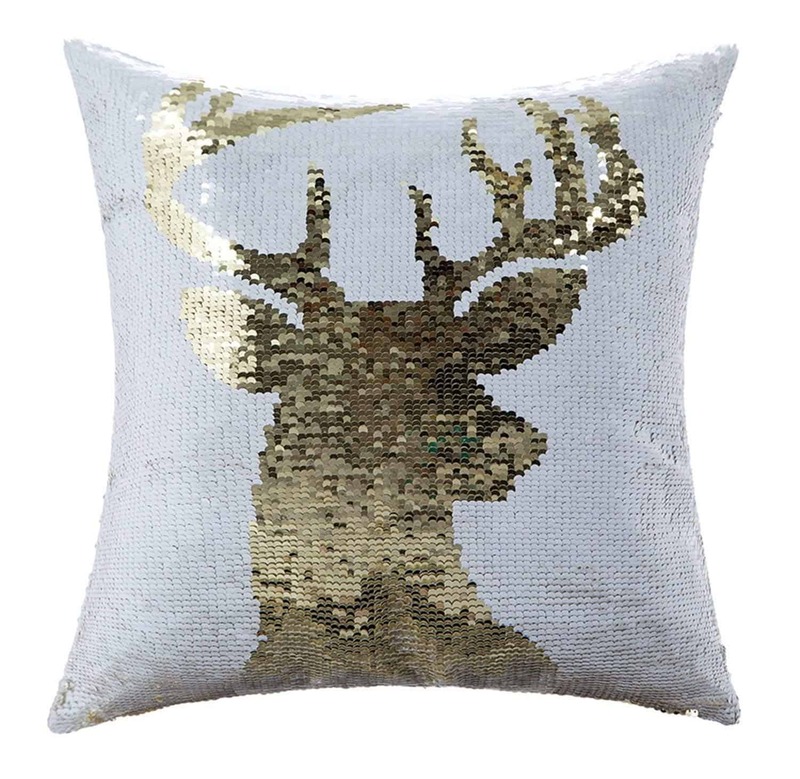 Order some cheap christmas pillows and swap them out with your normal pillows. 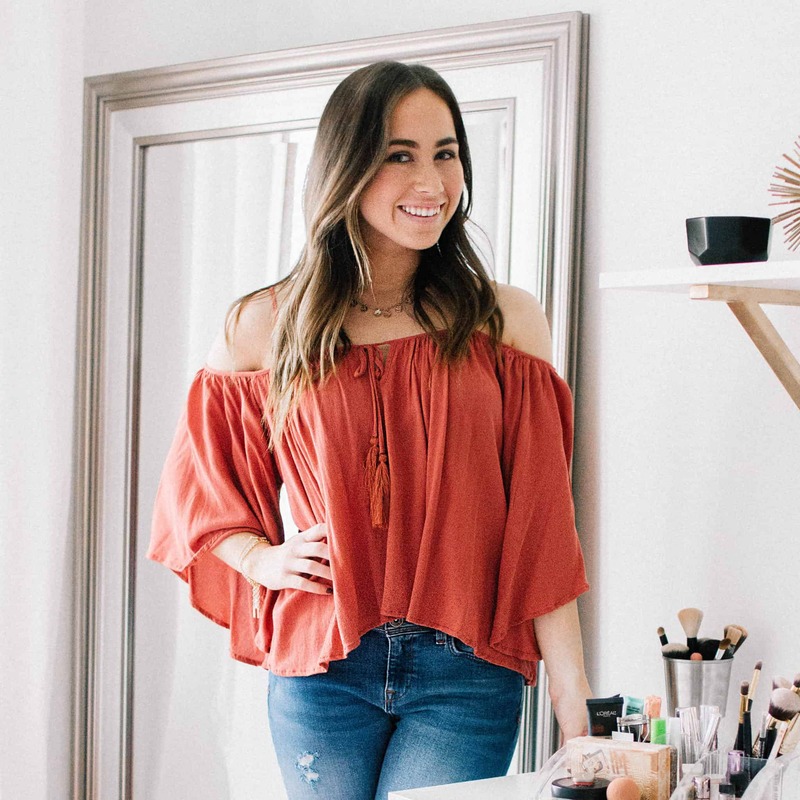 This little change will instantly make your room feel more festive. 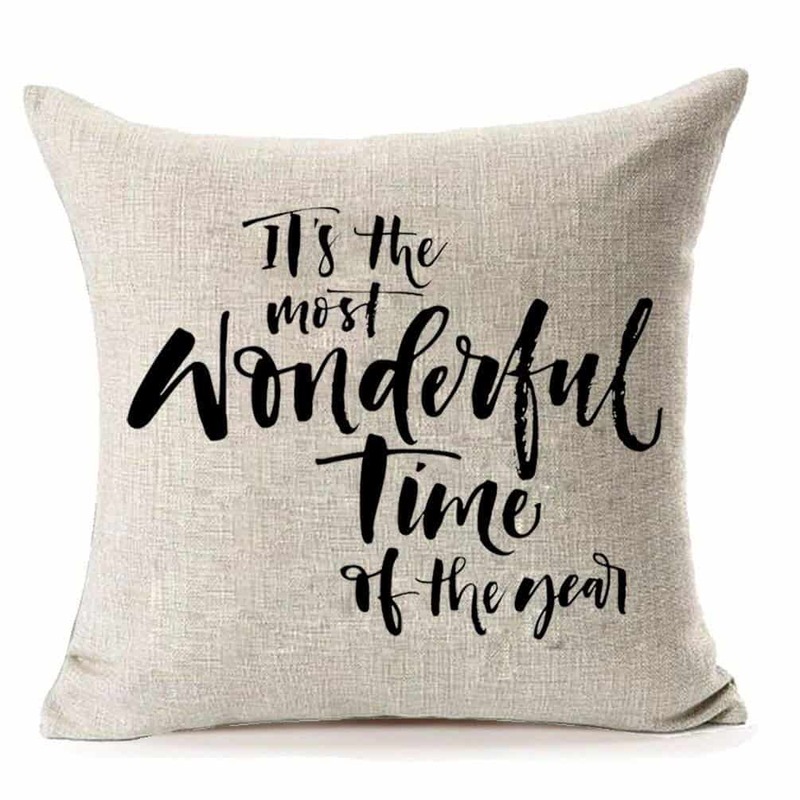 I love this idea because you can reuse the pillows for years and years instead of some other christmas dorm decorations that only get used for one year. 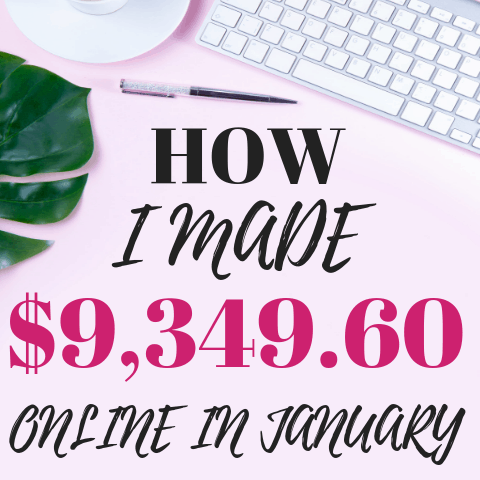 Tip: Looking to save some money? See if you can just put a pillow cover over pillows you already have! 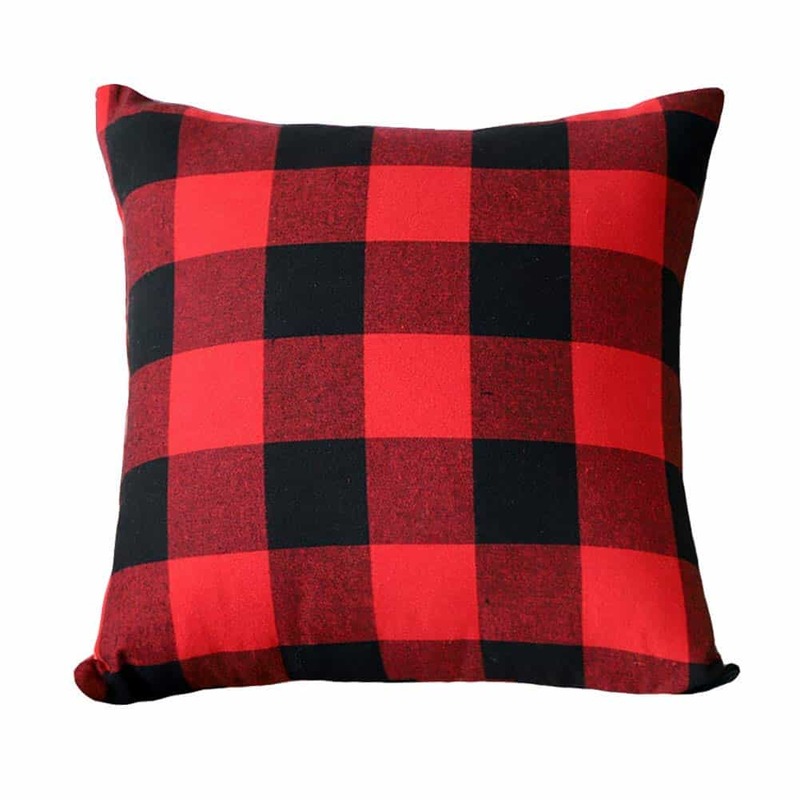 Most decorative pillows can be unzipped and then you can just swap out the cover for really cheap. I know people do this a lot for different holidays! 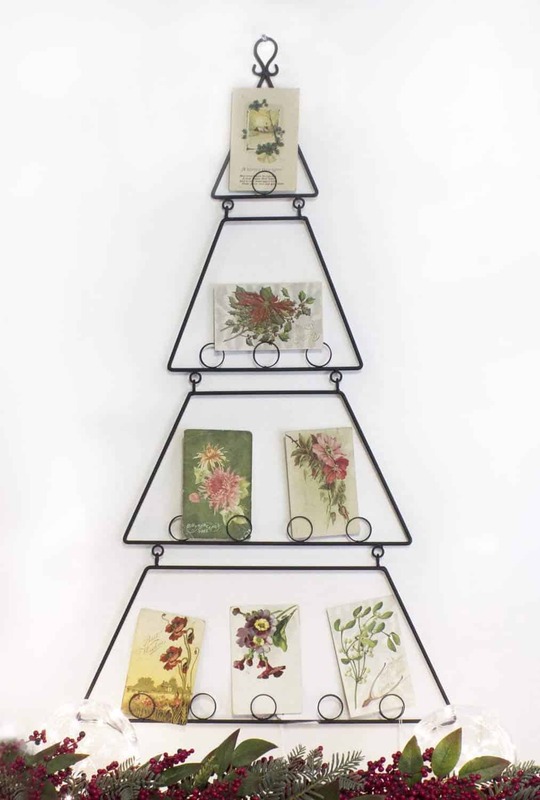 This is a really popular christmas dorm decor! My friends went all out decorating their door and even included their pictures on it as elves. There are all kinds of inspiration pictures on Pinterest to get your mind thinking of ways you could decorate your own door. An easy way to do this is to buy some cute wrapping paper (Target has the BEST!) and tape it to your door. 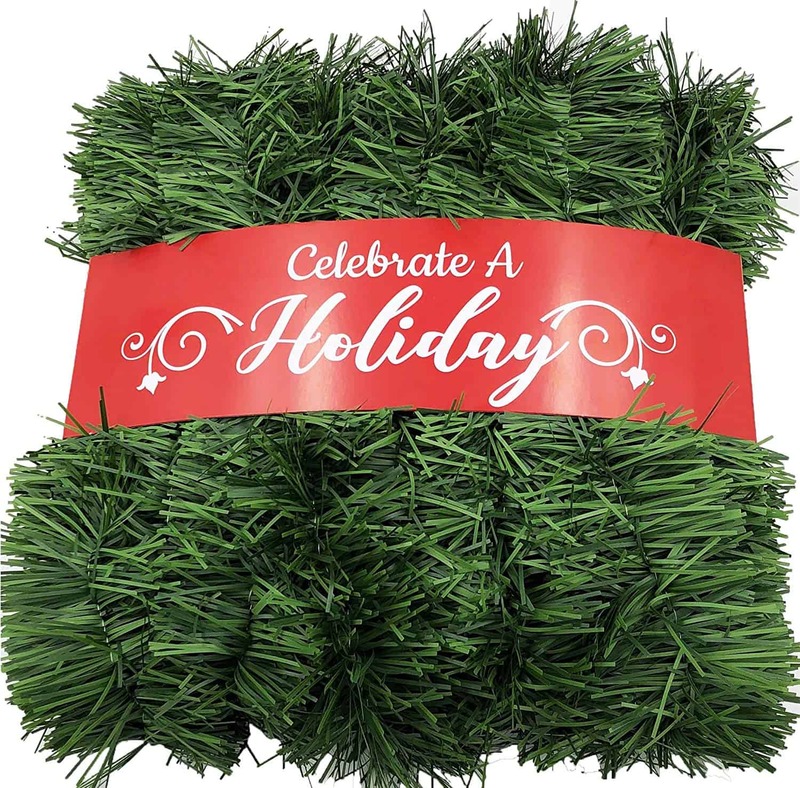 Finish it off with a cute wreath and you're good to go. This is a really easy dorm christmas decoration that makes a big impact! Purchase a set of cheap christmas ornaments and attach them to some string. 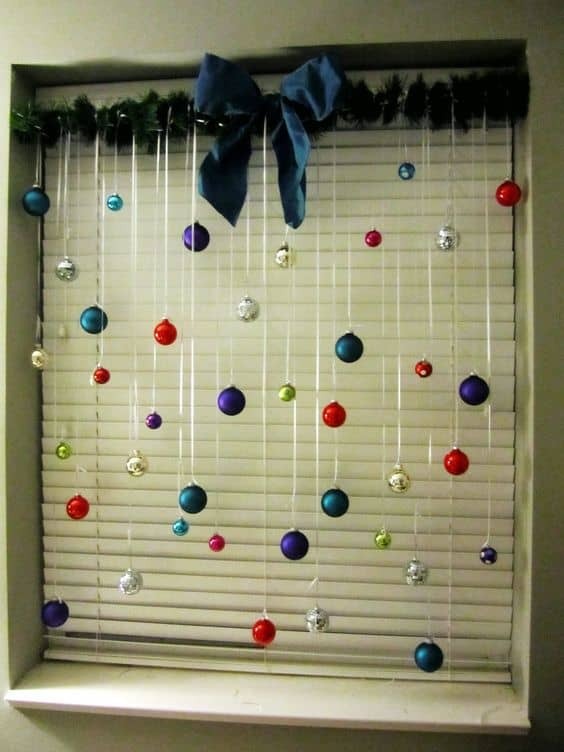 You can also get an expensive garland and then attach the ornaments to that in the window. Just like that you've instantly brought the holidays spirit in. 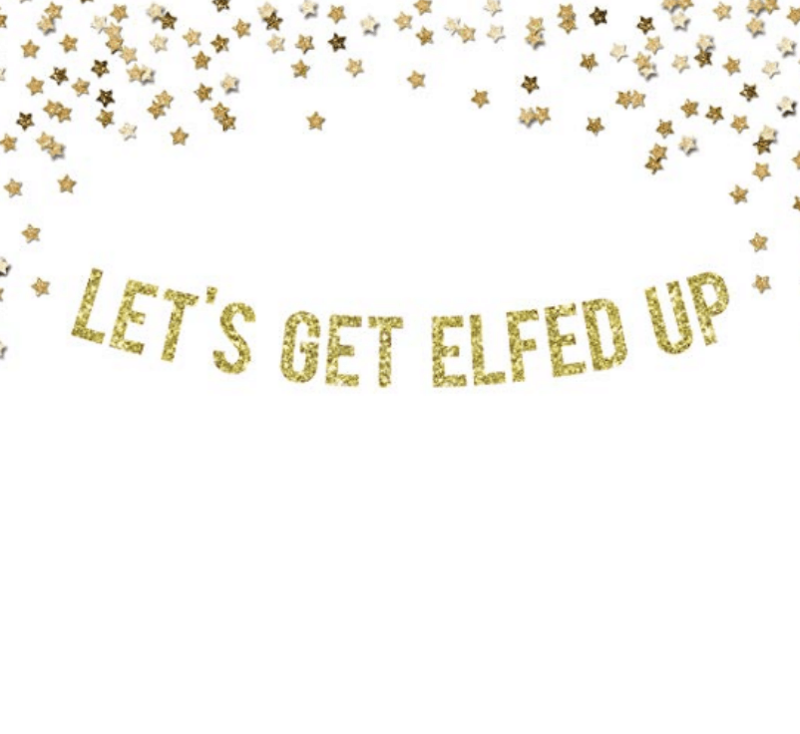 Want 10+ funny and cute holiday printables to help you decorate this year?! Subscribe to my weekly newsletter to get access to these printables and 50+ other free resources. 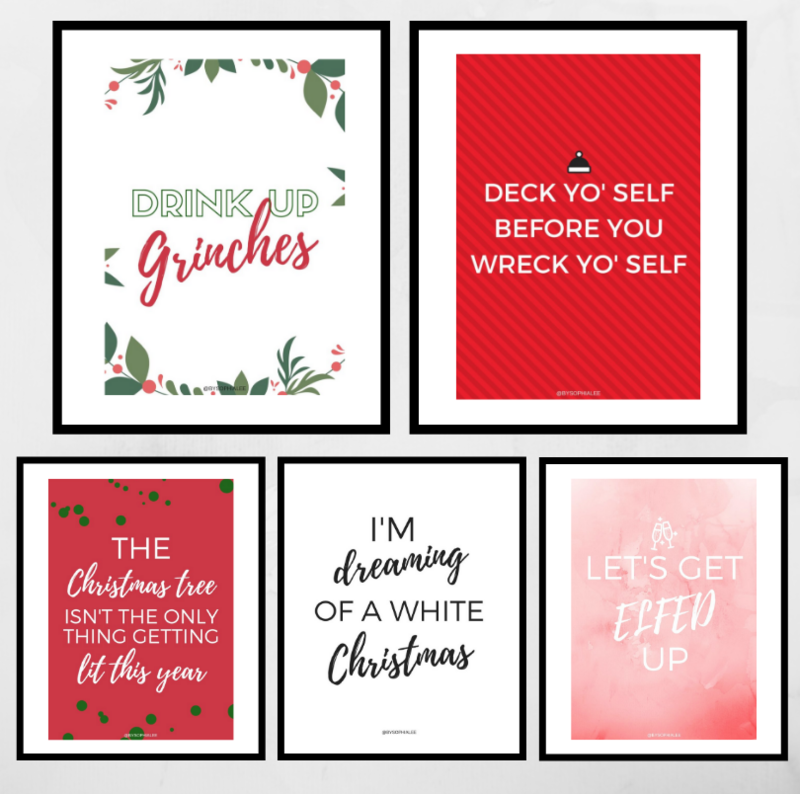 GIVE ME MY FREE PRINTABLES! We hate spam and won't sent it to you! 4. Build a DIY fireplace. 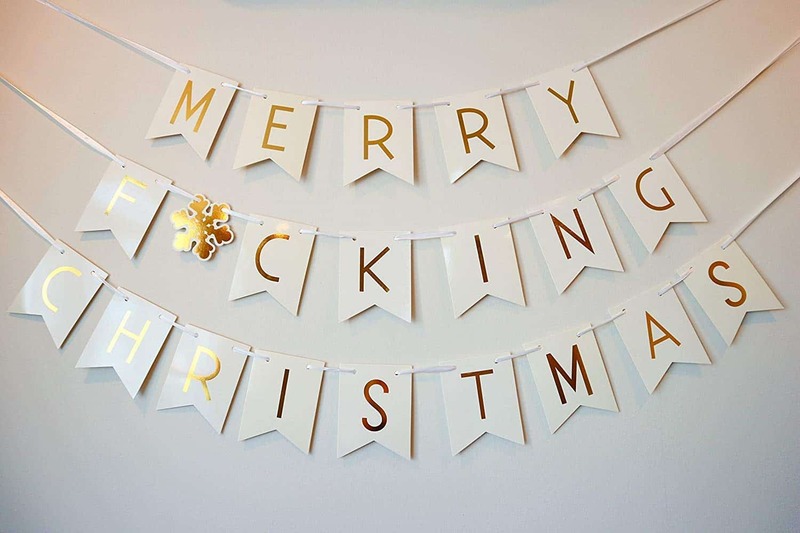 How fun is this christmas decoration for a dorm?! My current roommates actually made this in their dorm room last year and it looked SO good. I wish I had a good picture of it because it changed the whole feeling of the room and made it feel so much cozier! 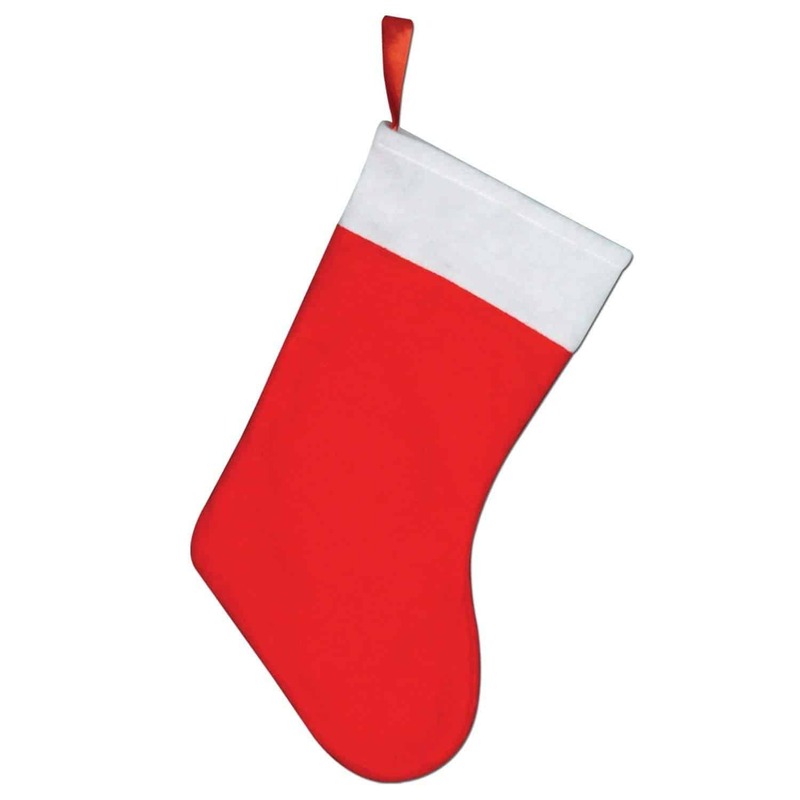 They had stockings for everyone and everything. If you are wondering where to find paper to do this, check out the art department of your school. I can almost guarantee you they will have the large rolls of white paper you can use from. It might be harder to find the red construction paper but you can find that at Michaels or even Amazon. 5. 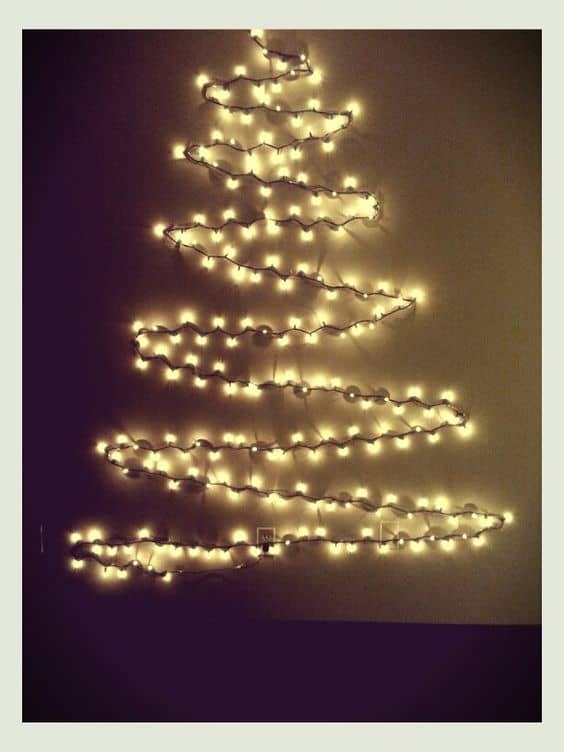 Make a Christmas tree out of lights. This is the perfect christmas tree for a dorm. 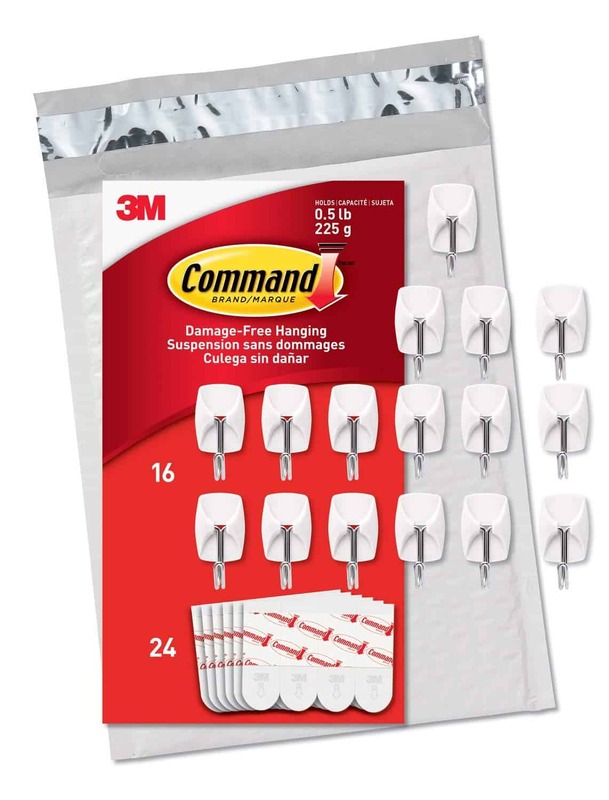 Get some some string lights and with the help of command hooks design it in the shape of a christmas tree. 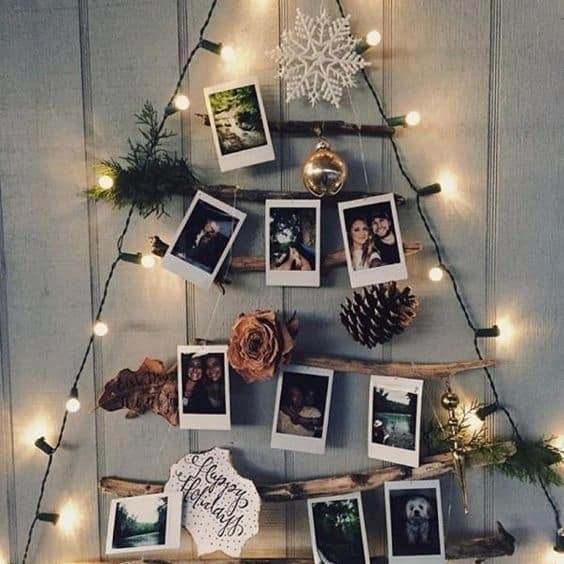 How cute is this christmas dorm DIY idea?! Find a place where you can get some sticks and load up on them. Even better if they're in varying sizes! 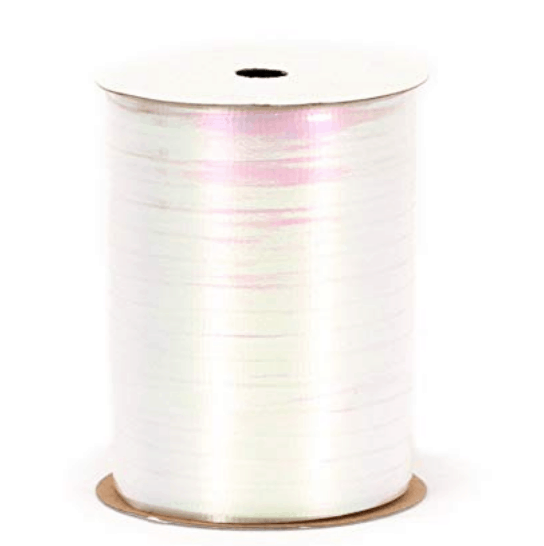 Sand them down to get this look and drill a hole an inch from each of the ends for the string. 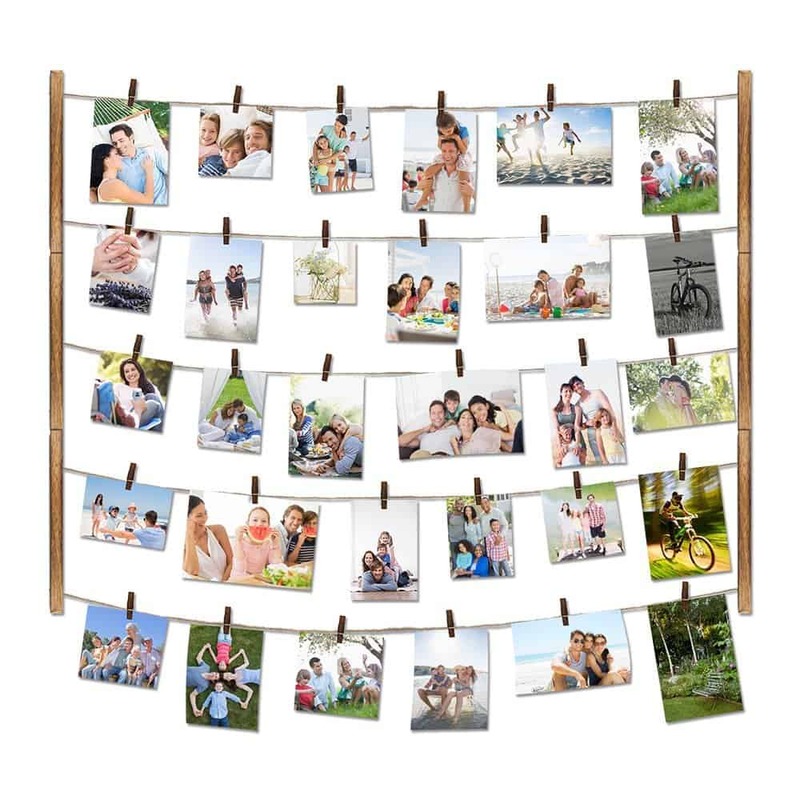 Put it all together and add the pictures and other decor on it. 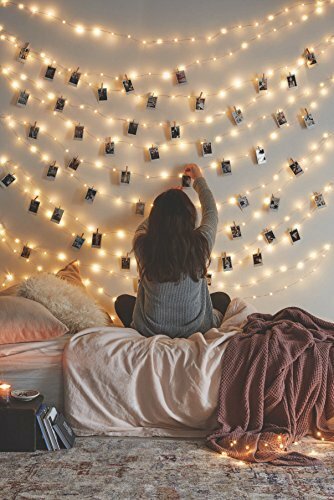 Finish it off with string lights and you've got a really cute christmas decor (that honestly could be up year round if you take the lights off)! If you don't feel up to this DIY I have added some pre-made versions you can buy. 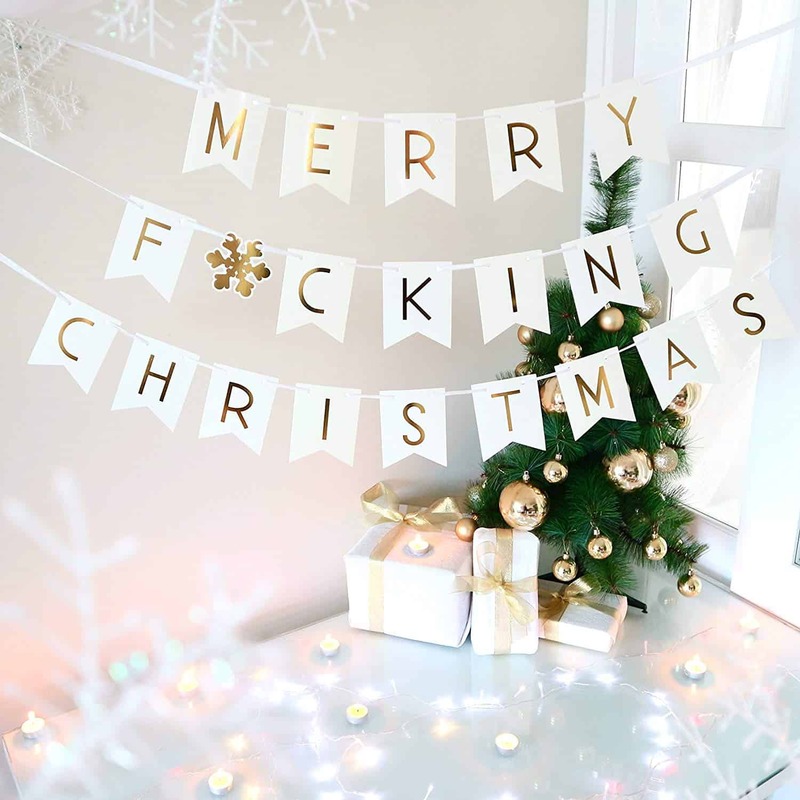 Adding a Christmas banner is one of the easiest way to spruce up a dorm room for Christmas. I love this one because it adds just the right amount of spice for a college student. 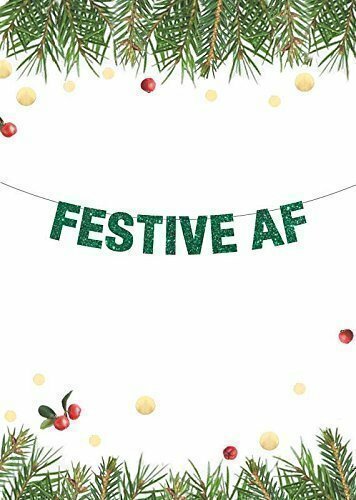 There are SO many funny christmas banners but you can find this one in the picture here. 8. 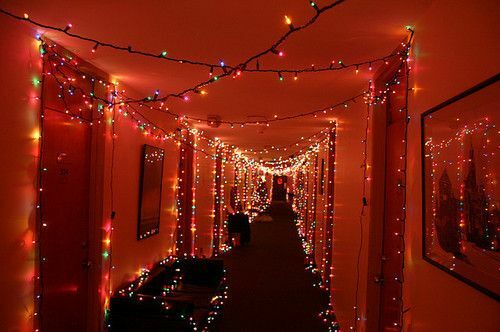 Decorate hallway with lights. This would be so fun to have a hallway turned into a winter light wonderland. I don't exactly know if this would have been allowed in my dorm hall, but if you can let it fly and can get people to join in with you to do this, it would look SO cool!! 9. Decorate a small Christmas tree. I am in love with this mini silver christmas tree!! 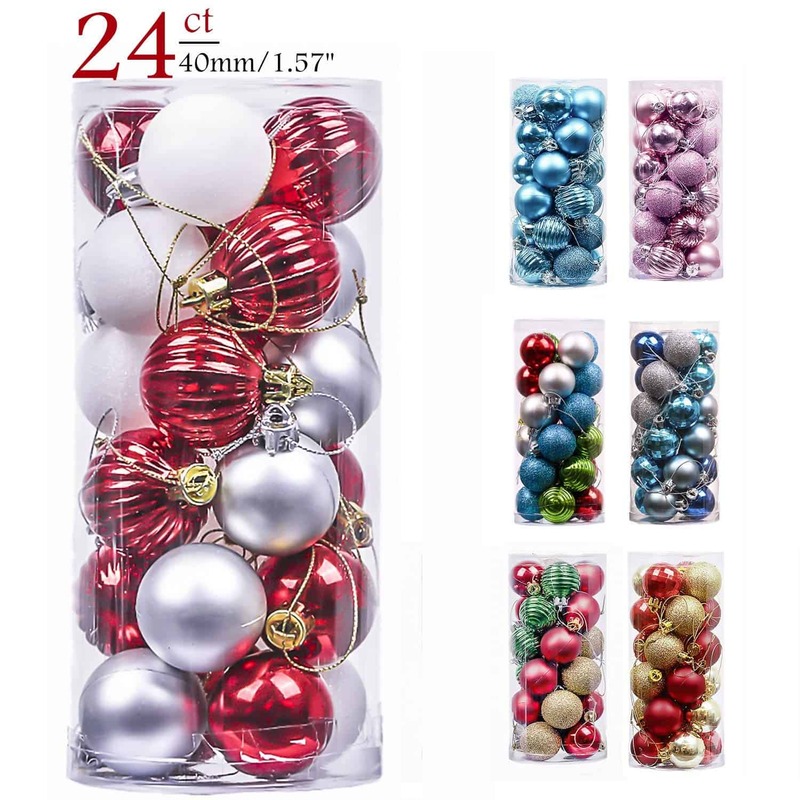 This is the perfect size try for a dorm room and completely brings in the Christmas dorm room feel. 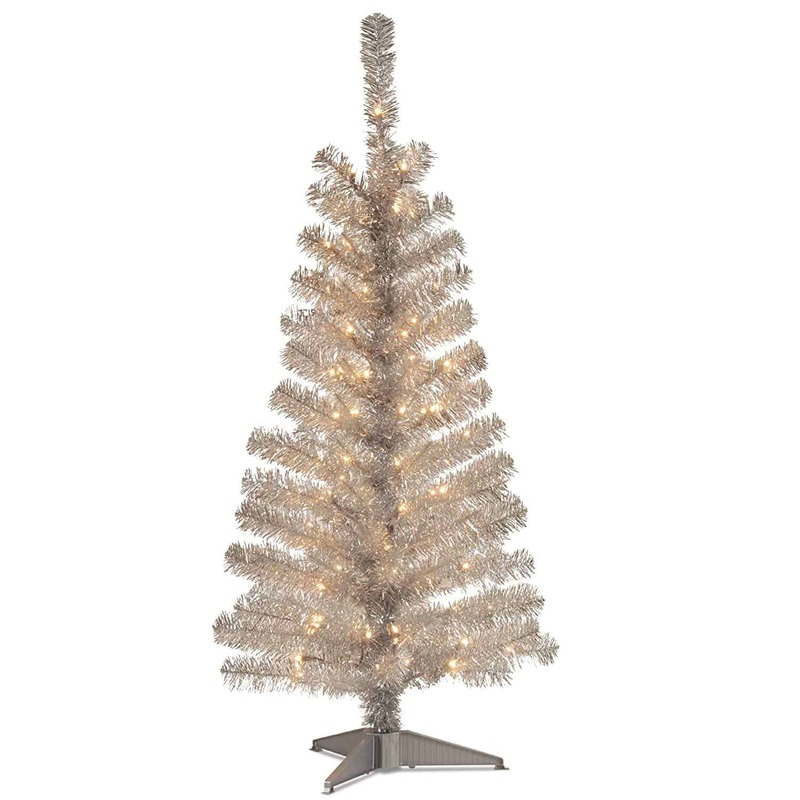 This tree comes in SO many different colors so if silver isn't your thing, there will be some color you like. 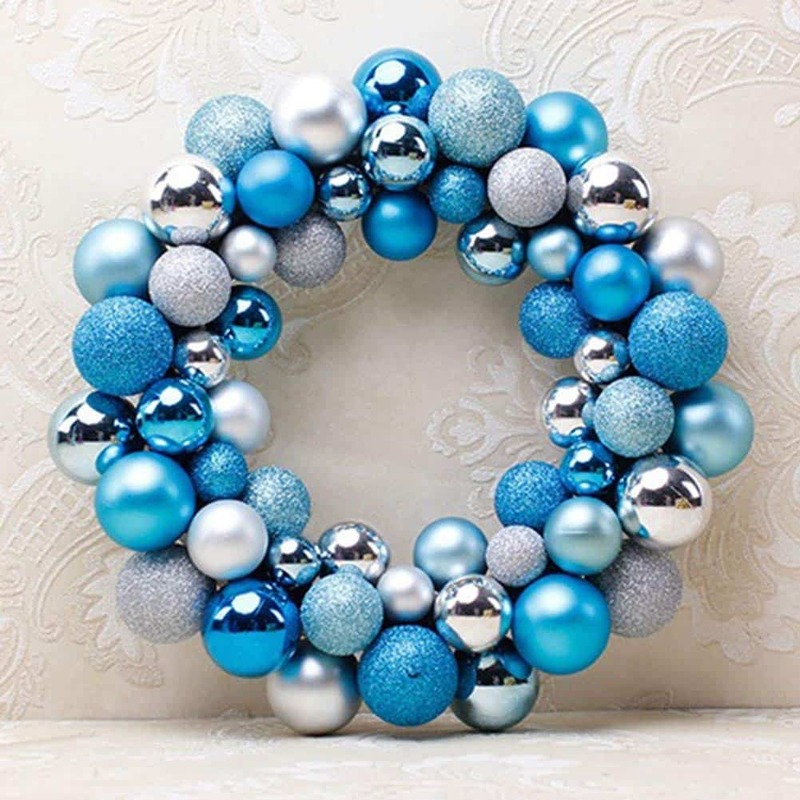 This is an easy one and is such a cute dorm christmas decorations! 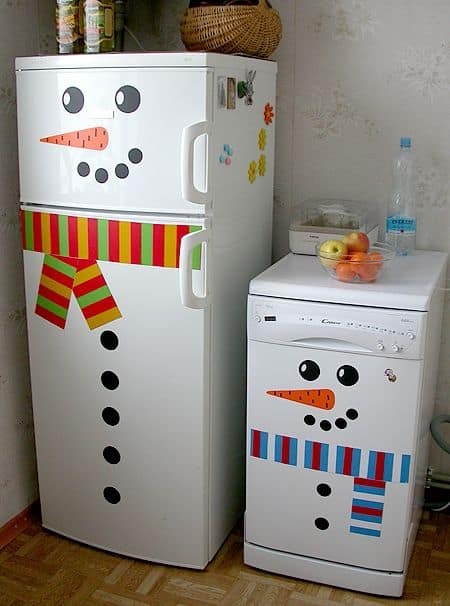 Turn your boring (and ugly) fridge into a snow man. Dorm fridges are really close in size to the ice maker (? not really sure what it is) so you easily could replicate that look with some construction paper and double sided tape. 11. 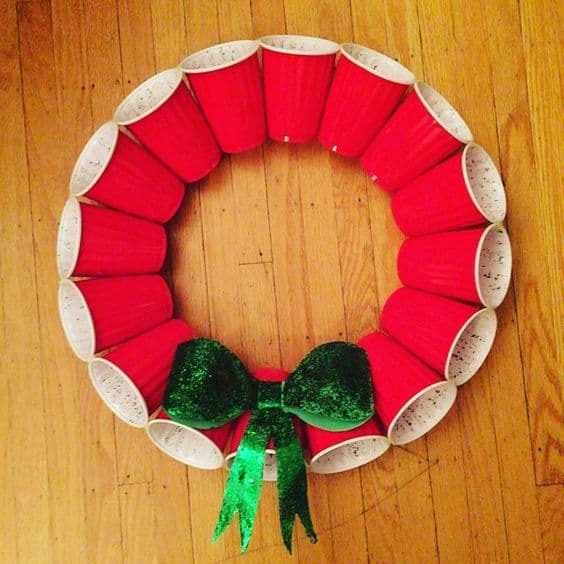 Make a wreath out of red solo cups. Can you get more college christmas decor than this?! I'm thinking no. Not only is this super easy, but pretty darn perfect for hanging on your door. Just get red solo cups and hot glue them together. Finish it up with a bow and you're done! 12. 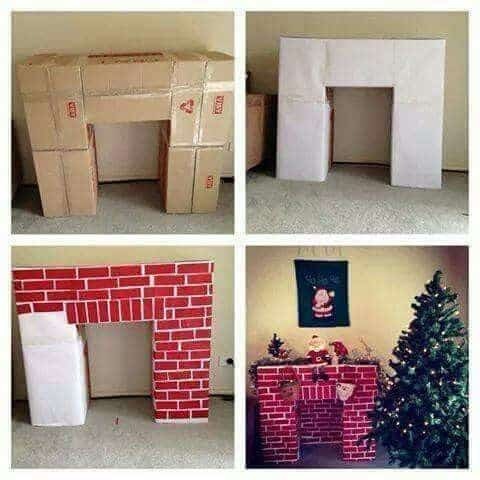 Make Christmas wall art. 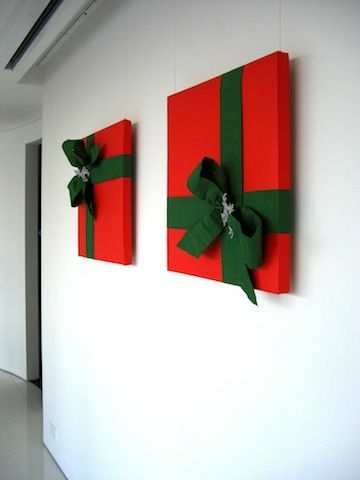 Wrap up some canvases and you've got a really cute christmas wall decor piece! I personally would pick cuter wrapping paper and bows to make it more "trendy". 13. Use candy canes as Christmas decor. 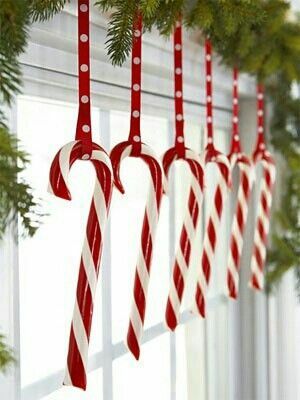 On top of being a delicious Christmas dessert, candy canes are a perfect cheap ways to decorate a dorm for christmas. Get some cute ribbon and hang it from your blinds in the dorm. 14. 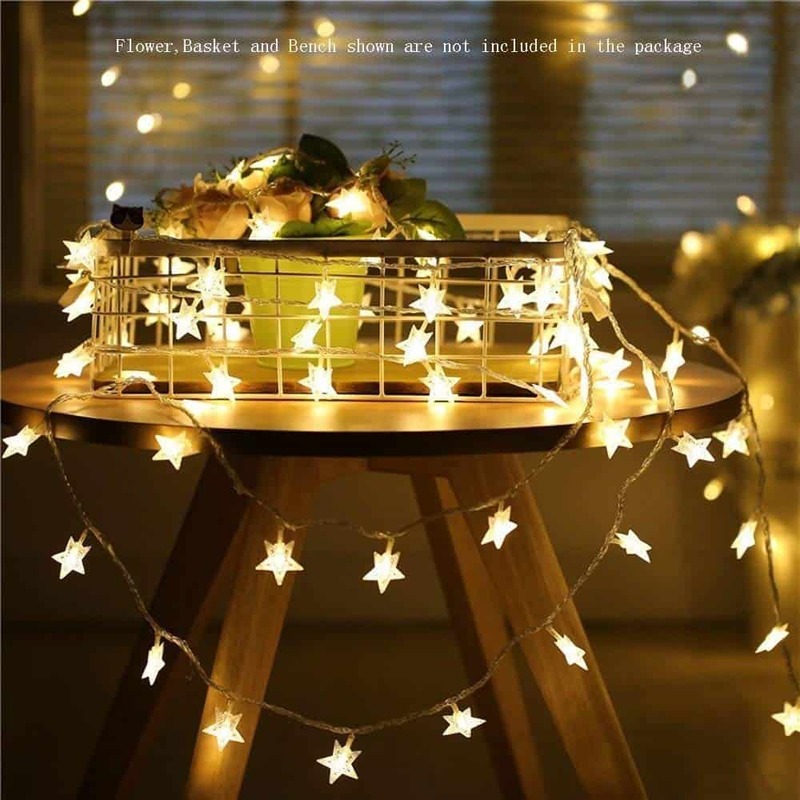 Get special star lights. 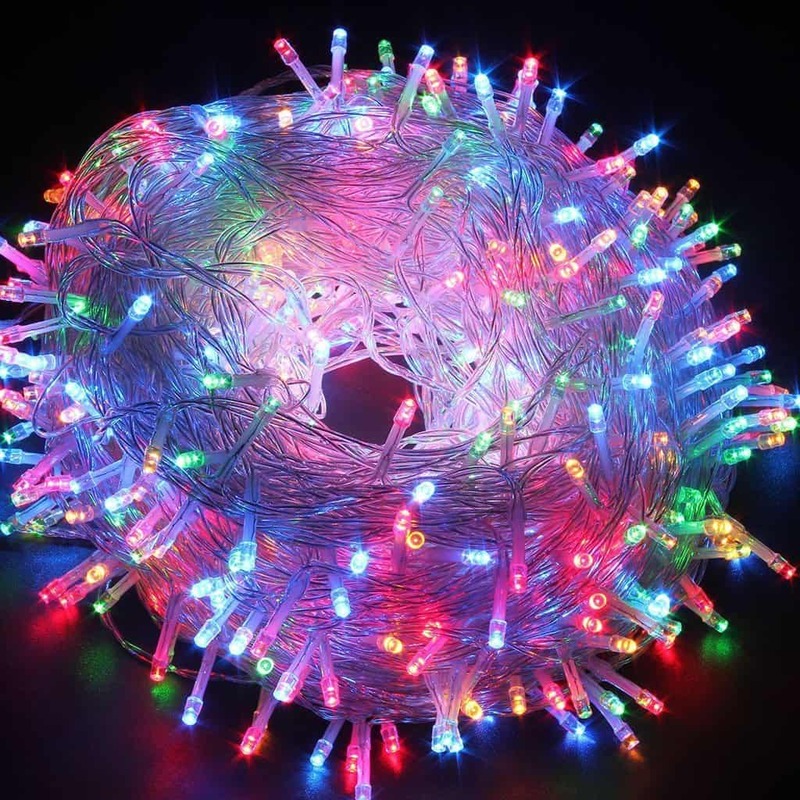 I want these lights SO bad. Stars are really popular this year and also make a perfect mild Christmas statement. 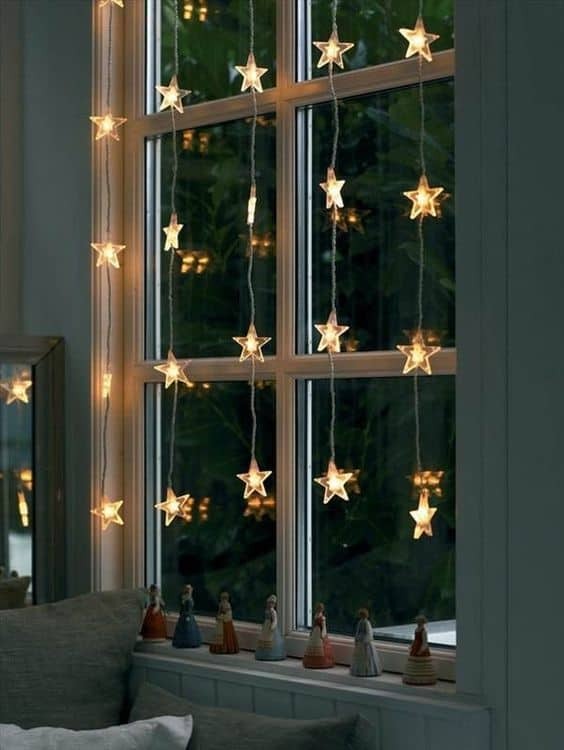 You can find these star lights here. 15. 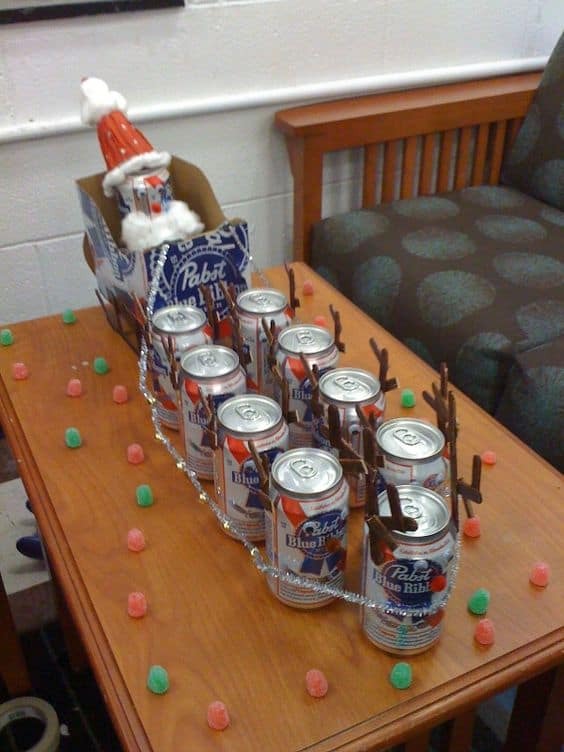 Make a beer Santa sleigh. Of course, I have to finish these christmas dorm decorations with this idea! I have to give credit to whoever came up with this idea, it is very clever! 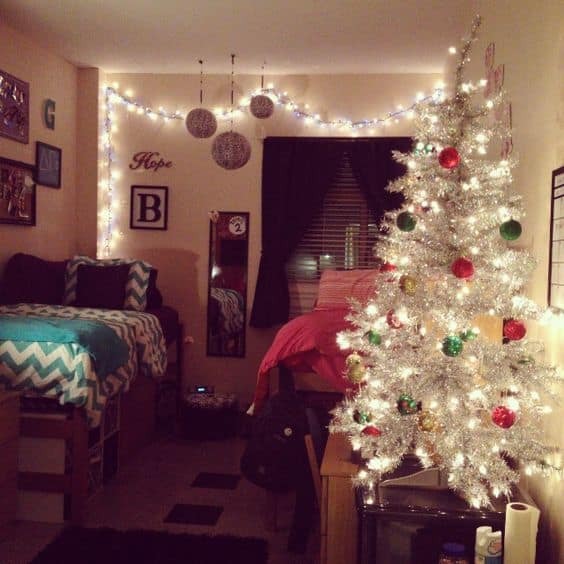 This post showed you 15 christmas dorm ideas to copy this year. 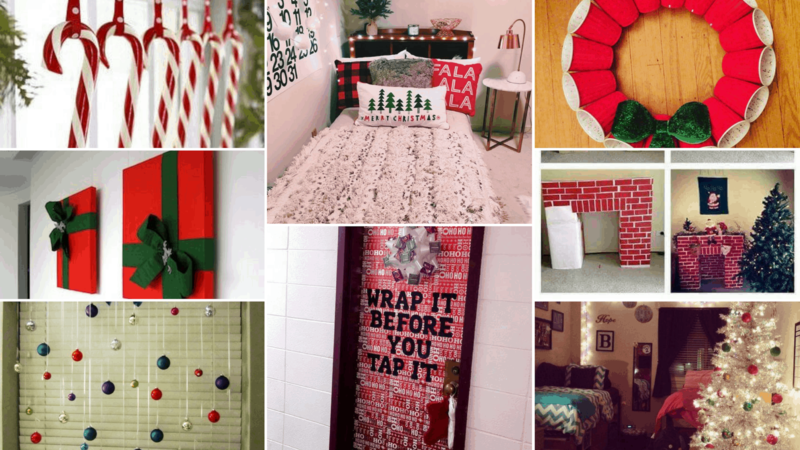 Aren't these christmas dorm ideas so good?! I am definitely going to use some of these in my own college apartment this year. 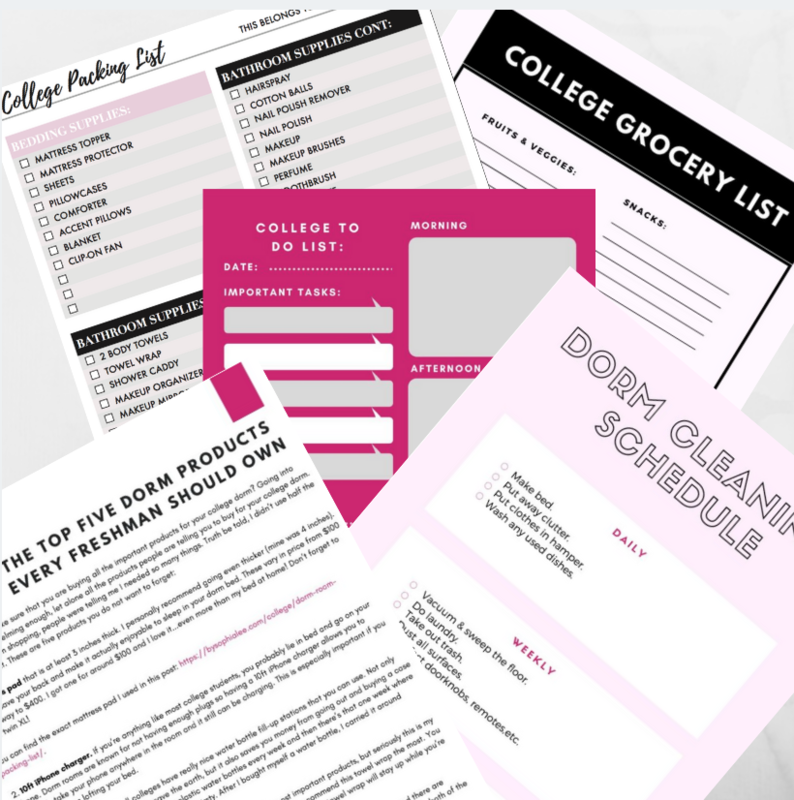 Being a college student doesn't have to be hard, especially when you're organized! Subscribe to my weekly newsletter to get access to the printables I personally use every week plus 50+ other free resources.